Happy Wednesday everyone! I hope your week so far has been much better then mine. 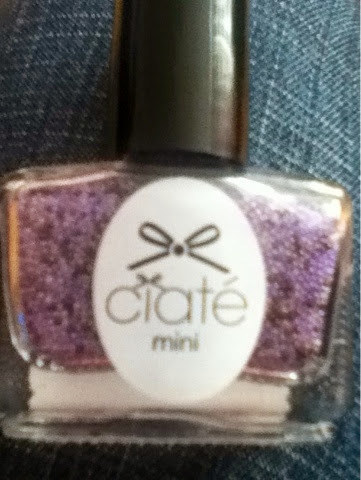 About two weeks ago I bought a magazine and with it came Ciaté mini nail polish in Pillow Fight and caviar pearls to match in Sweet Dreams. I haven't used the caviar pearls yet! For some reason I think all the pearls will fall off and it will just a waist of my time. I need to look up on YouTube on how these pearls last and so on. I did try the Pillow Fight polish and to be honest with you I wasn't too impressed. There is a great colour pay off but I needed to use a thick layer of polish. To be honest with you I don't think I would buy a full size as its very expensive polish. I know there is people out there that love Ciaté but I wasn't too happy with it. Maybe it's because a mini version and there wasn't put as much effort in to them. One thing I forgot to say is there is a fab shine. I didn't use any top coat as I was rushing out when I applied it. That did impress me too. 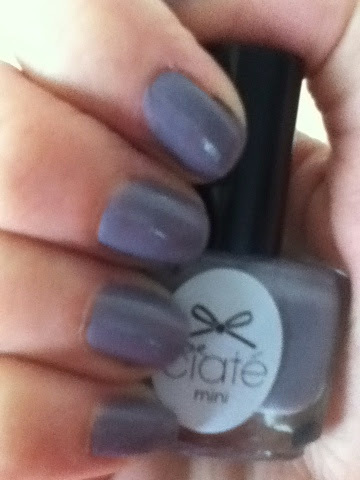 Do you have Ciaté polishes? What do you think of them. Outfit of the day and Face of the day.